These earrings are always in fashion and make a perfect accessory that looks great on any outfit. 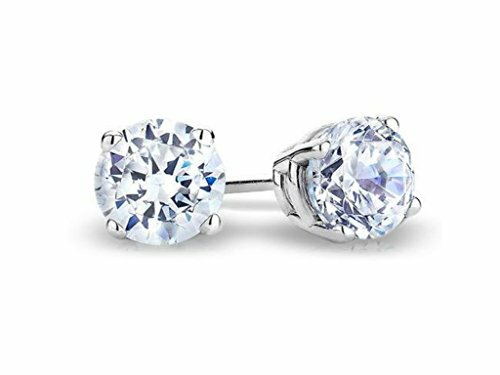 These diamond studs will make a splendid addition to any jewelry collection. This International Gemological Institute (IGI) Diamond Certificate gives an accurate assessment of a diamond's authenticity. 14k Gold and IGI inscription on the studs. We offer FREE SHIPPING throughout the USA! Higher value items are also insured for shipping at no extra cost. We believe in maintaining the best customer relationship and providing the best value for the buck. We appreciate customer feedback on the new safety lock backing pair which ships free with this item. This will ensure your precious earrings will always be secured. No additional taxes on the listed price. If you have any questions about this product by finediamondjewelry, contact us by completing and submitting the form below. If you are looking for a specif part number, please include it with your message.